Need office space urgently? Kwikspace’s range of container offices, park homes and prefab kits provide fast and flexible work space for any office requirement, permanent or temporary.. 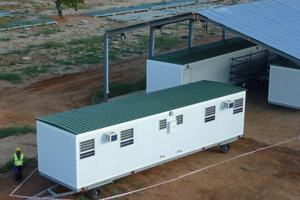 Available for sale or to hire, our container offices are ideal for mining camps, construction sites, sports entertainment productions, military and policing requirements, or any other application requiring high-quality, mobile work space. Rapidly deployed, plug-and-play and Agrément-certified, with excellent strength and thermal properties, Kwikspace prefab buildings provide comfortable, convenient and cost-effective solutions to your unique working requirements. We can supply and fit any optional extras, such as air conditioning, blinds, furniture and anything else your office needs! 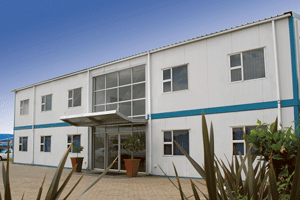 Get a quote on a container office! Call us on 011 617 8000 or request a quote. Standard sea freight shipping containers can be equipped as a site office, or can be used for storage on your site. These solutions come in standard container dimensions. Kwikspace can customise your modular office with any extras you may require, such as blinds, office furniture, air conditioning and more. We offer complete turnkey solutions for container offices, from site delivery and setup to civil, electrical and plumbing works! Kwikspace has the largest container rental fleet in sub-Saharan Africa! That means fast turnaround times for your exact office requirements, with delivery to site usually within 5 – 10 working days of your order being placed. Arriving ready for immediate use, container office rentals are a cost-effective, flexible solution to get the office space you need. Regardless of your industry or requirements, we hire containers tailored to suit your needs. With rental refurbishment facilities in Gauteng, KwaZulu-Natal, Eastern Cape and Northern Cape, our rental containers can be custom-fitted for any site or application, quickly and efficiently. Get a quote on a container office rental today! 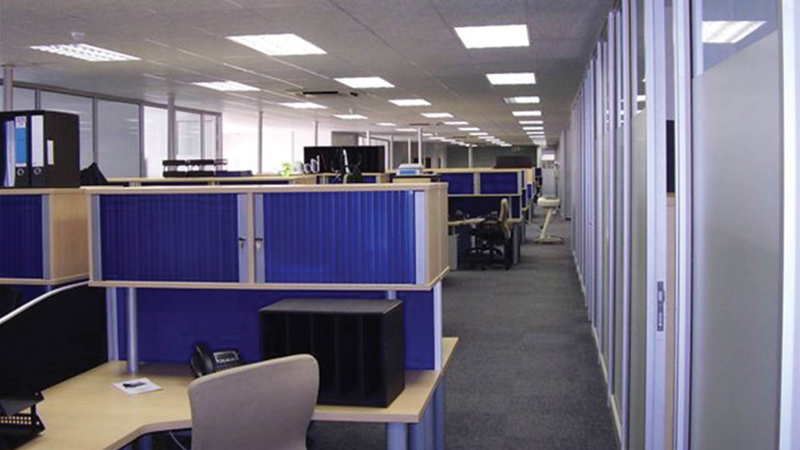 Speak to us about your modular office requirements!! 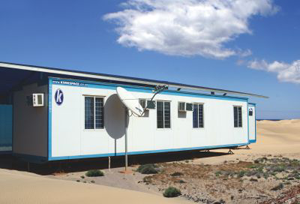 For over 50 years, Kwikspace has delivered large-scale prefabricated building projects reliably on time and in budget, ranging from accommodation camps and large schools in remote regions to offices and amenities for large corporates. 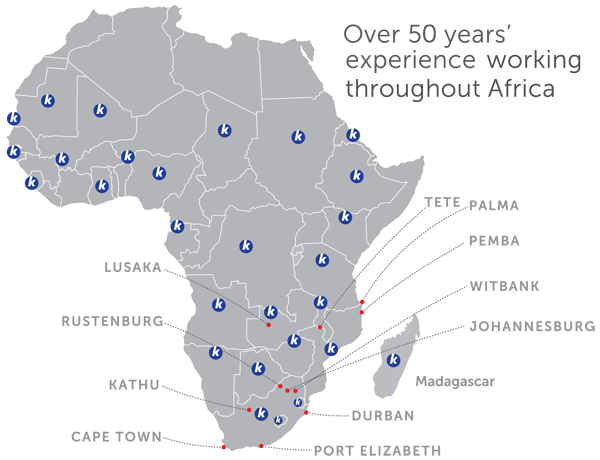 With 6 branches strategically located across South Africa, as well as 2 in Mozambique and a branch in Zambia, we are able to deliver your mobile container offices to your site quickly and efficiently, no matter where. Our 500 000 m², ISO 9001:2008-certified panel manufacturing plant in Johannesburg ensures we can develop your prefab buildings quickly, to the most stringent standards. That’s why our container offices have a minimum lifespan of 20 years! Contact Kwikspace for all your mobile container office requirements! Call us on 011 617 8000 or send us an enquiry.